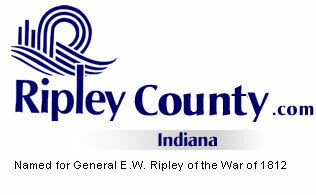 The Ripley County Council met on Monday, June 16th, 2008 at the Ripley County Annex in Versailles, Indiana. Dephane Smith, Council President called the meeting to order promptly at 7:00PM with the pledge of allegiance to the flag. Council Members Dephane Smith, David Simon, Juanita Kaiser, Mark Busching and Ben Peetz were in attendance. Donald Dunbar & Ed Armbrecht were not in attendance. Council Member Busching made a motion to approve the minutes for the May 19th, 2008 Council meeting seconded by Council Member Simon. Motion approved by Kaiser, Simon, Busching, Smith and Peetz. Council Member Armbrecht and Dunbar abstained. Council Member Peetz made a motion to approve the additional appropriation of $7,000 for Ronald A. Buchanan/ Ripley County Coroner from Acct# 100-34600-000-010 Autopsy seconded by Council Member Busching. Motion approved unanimously. Council Member Kaiser made a motion to approve the additional appropriation of $11,143.95 for Paula Goodpaster from Acct#276-37550-000-276 Drug Free Community Fund for the 2008 Administration Budget and Grants Awards seconded by Council Member Peetz. Motion approved unanimously. Council Member Kaiser made a motion to approve the additional appropriation of $7,000 for Ripley County Commissioners from Acct#611-35275-000-611 Endowment Fund for the use of Show mobile Stage for Non Profit organizations seconded by Council Member Busching. Motion approved unanimously. Council Member Peetz made a motion to approve the additional appropriation of $22,500 for Thomas J. Grills, Ripley County Sheriff from Acct#308-25700-000-308 Home Incarceration/Work Release for garage & motor expense seconded by Council Member Busching. Motion approved unanimously. Council Member Peetz made a motion to table to the July meeting the additional appropriation of $22,500 County General Acct#100-25700-000-007 seconded by Council Member Kaiser. Motion approved unanimously. Council Member Kaiser made a motion to take off the table the letter from the Ripley County Community Foundation Inc. advising Ripley County on the performance of the endowment fund and the returns of the fund for the county seconded by Council Member Simon. Motion approved unanimously. Council Member Peetz made a motion to request that the Ripley County Community Foundation Inc. send Ripley County the 5% distribution of $12,314.63 based on the value of the fund seconded by Council Member Kaiser. Motion approved unanimously. Council Member Kaiser made a motion to table to the July meeting the Ordinance from Probation Department, establishing the fee based court ordered testing fund seconded by Council Member Simon. Motion approved unanimously. Julie Berry, Ripley County Regional Foundation reported to the Council Member on the work that they have done for Ripley County. Berry reported that Ripley County has been a member since 1974 and contributes approx. $9,000 a year to the foundation. Council President Smith reported that Ed Armbrecht is going to resigned from the Ripley County Economic Development Board and recommended that Jeff Volz take his place. Council Member Peetz made a motion to appoint Jeff Volz as the Ripley County Council Representative to the Ripley County Economic Development Board seconded by Council Member Kaiser. Motion approved unanimously. Council Member Kaiser approve the encumbrance of $100.73 Payroll (that was missed in January of 2008) Probation Department/Adult Administration seconded by Council Member Simon. Motion approved unanimously. Council Member Peetz made a motion to adjourn until the next meeting on Monday, July 21st, 2008 seconded by Council Member Kaiser. Motion approved unanimously.